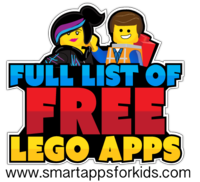 Smart Apps for Kids has updated their list of FREE LEGO Apps. There are 75 different apps available for FREE on their list. Check it out here.